Doesn’t it feel good when something you envision actually comes to life? A couple of years ago I wrote about how a group of high school students near Dell’s headquarters in Texas took on the challenge to design the library of the future. At that time I noted how the students were happy to hear that their hard work – which was completely volunteer and did not earn a grade – was being taken seriously by business, community and school leaders. So seriously, in fact, that it has now become a reality. “The first time we walked in it looked more real than anything, like, this is what I designed. This is what came to life,” one of the students remarked. “The plan was, do not give them any constraints. Let their minds wander, let their creativity show,” said Career and Technology Academy Specialist Rachel Sotelo at Cedar Ridge High School. That same spirit of freedom and student decision-making also translates to the Dell technology that the school uses. From laptops to desktops, Dell Chromebooks to interactive projectors, students are encouraged to choose whatever tool meets their needs. “Instead of assigning one device per student, we ask the children to think about their learning experience – what’s the purpose here, and which devices will best support me,” explained Gabi Nino, principal of Joe Lee Johnson Elementary School. 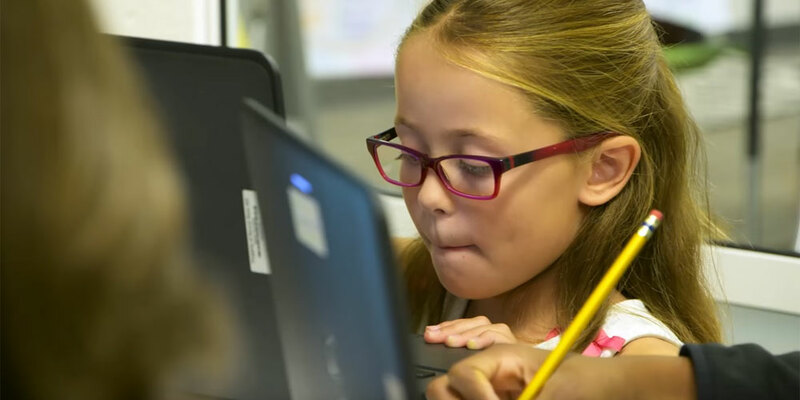 That every student should have a voice and choice in the learning process is something in which our Dell Education team believes. They spend a lot of time in classrooms, talking with students and educators to design solutions that support them as the redefine the learning environment. To learn how they can help personalize learning, check out more case studies, white papers, brochures and webcasts in our online library.